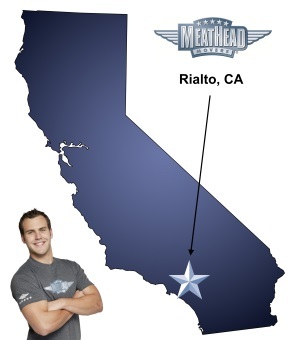 For a trouble-free move to Rialto, Meathead Movers is the company for you! Our professionally trained student-athlete movers are ready to get you into your new Rialto home. Welcome to Rialto, a friendly city with convenient access to forests, lakes, and rivers. If it sounds like a city on the edge of the wilderness, it’s because of the Angeles National Park to the north. However, don’t let the beautiful, expansive views fool you; this city lies just west of San Bernardino and offers plenty of shopping, dining and indoor fun for everyone. If you’re moving to Rialto, Meathead Movers wants to help. Our Rialto movers team of student-athletes can handle the heavy lifting while you get situated. Because of its proximity to San Bernardino, Rialto has a wonderful school district and provides education from elementary through high school. With California State University, San Bernardino only eight miles away and San Bernardino Valley College right around the corner, your children can receive a higher education after high school and never have to leave the comfort of home. Of course, with Los Angeles in the nearby vicinity, colleges such as USC and UCLA offer even more choices. If you ever need to fly out of Rialto on business or vacation, the Municipal Rialto Airport’s 4,500-foot runway offers expedited transportation only a few minutes from downtown. Education and travel aside, Rialto offers a variety of outdoor activities for its residents. Enjoy a picnic and play a game at Frisbie Park or spend Saturday and Sunday at the Shandin Hills Golf Club. Blair Park offers excellent views of the mountains and has a playground for the kids. For hiking and biking, spend a weekend at either the Angeles or the San Bernardino National Forests. Choose Meathead Movers and see why we rank No. 1 in all the communities we serve. When you choose us as your Rialto movers team, we make sure to handle all your belongings with care. Our moving company specializes in local, long-distance, and commercial moves to, from, and within Rialto. We also provide reliable packing, storage, on-site relocations, and our distinctive moving concierge service, which connects you with local service providers. Our Rialto movers team consists of clean-cut student-athletes who believe in a drug-free, smoke-free lifestyle. Not only do we stay active in the community, but we also use proprietary software and offer incentive programs to make your move easier. When you entrust in Meathead Movers, you can rest assured that your move will go smoothly. Moving to Rialto? Here are some helpful resources. They were great, but my dresser ended up with really bad scuffs and a couple of my bed post got damaged badly. Quick, proficient, careful with our belongings, and a great group of young men. the follow up prior to the move .